This food bowl is ideal for feeding your pet in a hutch, cage or at shows. It is easily fitted to a cage or hutch and can be removed for refilling and cleaning. 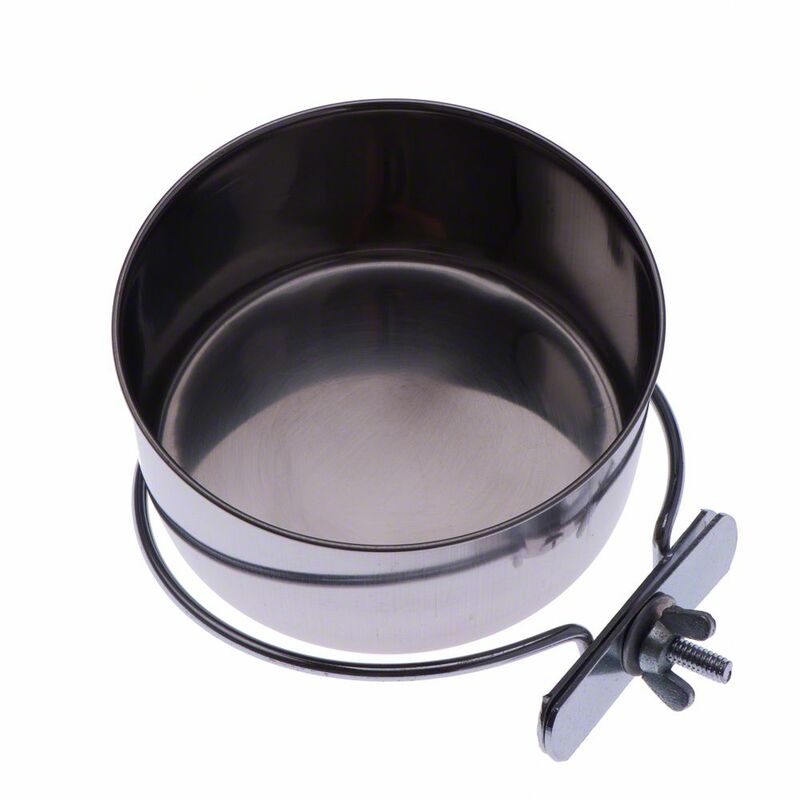 StainleΒ Steel Bowl with Screw Fitting at a glance: Available in three sizes 0,15 litre: diameter 7cm 0,28 litre: diameter 9cm 0,56 litre: diameter 12cm Chrome Plated and based on nickel.